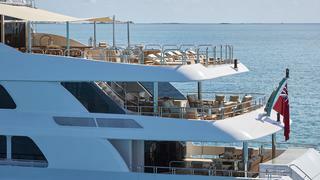 On deck, the expansive sundeck area aft offers dining under optional shade. 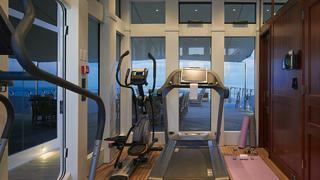 An air-conditioned gym, a sauna and a steams room are located forward. 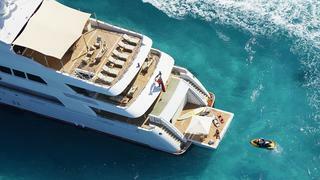 Further forward is a raised large Jacuzzi with sun pads and optional shade. A wet bar is also located in this area. 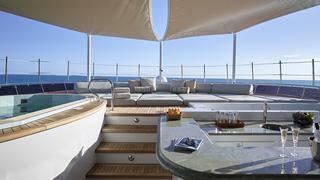 Alfresco dining is also available on the sky lounge aft deck. 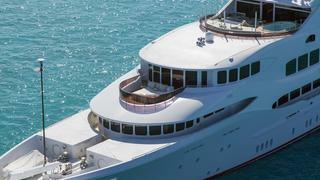 Spacious lounging areas for conversation and cocktails are found on all 3 aft decks. The interior features high ceilings, exotic woods and exquisite marble in a pleasing combination complemented by custom furnishings and artwork. 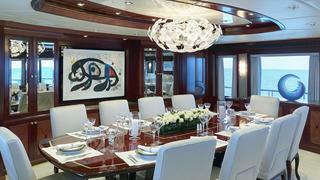 The main deck is open plan with the formal dining area is forward of the large main salon. 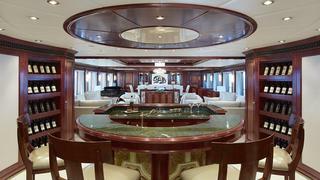 A large circular bar is found in the aft foyer of the salon. The main foyer forward of the dining area features an elevator and grand central staircase leading to the bridge deck sky lounge furnished with seating to starboard and a game table and wet bar to port. The full-width master stateroom with king bed is located forward on the bridge deck with oversized windows and full length glass doors to the suite’s private terrace forward with a sun bed. The master suite his/hers bathrooms are lavishly appointed. 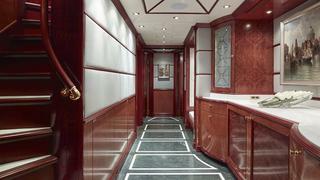 The adjoining private study aft can be converted to a 7th en suite stateroom. 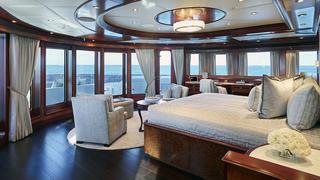 The VIP queen stateroom is also located on the bridge deck. Below, 4 beautifully appointed staterooms (3 king beds + a stateroom with a double, single and a pullman berth) provide deluxe accommodation for additional guests. 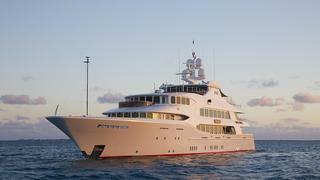 With a cruising speed of 16 knots, MIA ELISE II offers comfort with stabilisation both underway and at anchor. 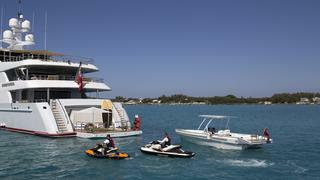 The beach club on the stern offers easy access to the watersport toys and tenders. 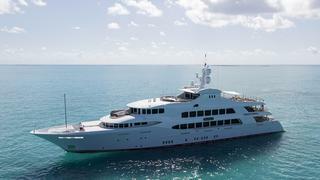 MIA ELISE II's experienced crew of 15 will anticipate your every need and assure a luxury yachting experience that is second to none.